The Surface Pro 3 is a fantastic device when it's working properly, but a procession of crippling bugs are keeping many users from enjoying their high-end hardware. 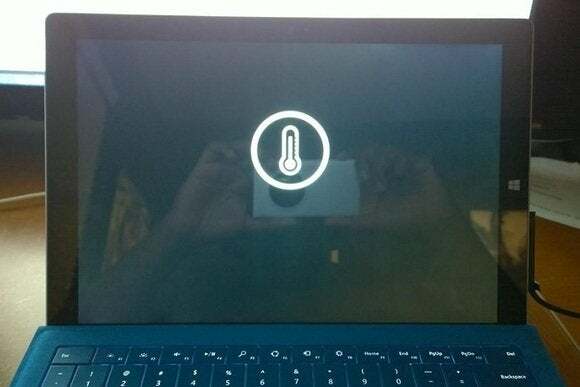 Over the past few weeks, users on Microsoft's support website have complained of overheating in the Surface Pro 3. Fan noise becomes excessively loud, the tablets become too hot to handle, and in some cases the device shuts down completely with a temperature warning. Affected users have put together a spreadsheet to collect all the complaints. The overheating problems seem to occur mainly in Core i7 versions of the Surface Pro 3, but a handful of Core i5 models appear on the spreadsheet as well. 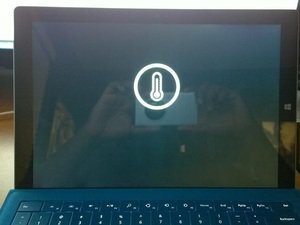 The user who started the comment thread says he's now gone through four Surface Pro 3 units, and every one has suffered from overheating. At the Surface Pro 3 reveal, Surface head Panos Panay proudly called the tablet "the thinnest Core [processor] product ever created." Achieving that level of slimness required a deep level of hardware customization from Microsoft—though the idea of cramming a powerful Core i7 processor into such a slim chassis prompted immediate speculation about potential overheating problems. As Neowin points out, some users have claimed to fix the problem by opening the Task Manager and selecting End Task for both the Windows Installer Module and Windows Installer Module Worker. But other users say they're still having problems, as complaints continue to pile up on the support thread. If the overheating is just a software issue, that's good news as it can be fixed with system updates. But strangely, Microsoft has been quiet on the matter. The company's PR department has not yet responded to a request for comment. In the meantime, users may risk pixel burnout if the system heats up to the point of showing a temperature warning icon. Sadly, major bugs like this one are a recurring theme for Microsoft's tablet line. At launch, the Surface Pro 3 required a day-one patch to prevent boot failures, but this patch in turn caused some Wi-Fi connection issues. Last year's Surface Pro 2 arrived without optimal battery life, and a later patch caused battery drain and other problems related to sleep and wake functionality. Microsoft had to pull the patch and left affected users in limbo for weeks. 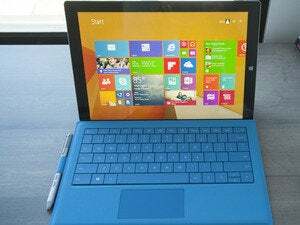 It's too bad, because the Surface Pro 3 is so easy to recommend as a productivity tool. While no device is ever completely free of bugs, the frequency and severity of Surface problems can't be ignored. Users who spend upwards of $1,000 on a Surface tablet should be Microsoft's best customers, as they're likely to invest in the company's software and services. Surely, they deserve better than a parade of device-killing bugs and silence from Microsoft.